Becoming a new mom is the best feeling in the world. I mean, who knew that your love could run so deep? For me, it was an easy decision to quit my job as a Clinical Research Nurse and become a full-time stay-at-home mom. But with this new mom bliss, also came an uncertainty and questions about the future of my career. Do I want to change career directions? Will my skills still be relevant? 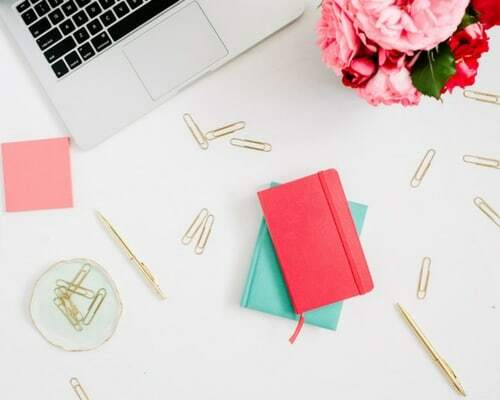 Luckily, Strayer University is helping moms relaunch their careers with flexible, cost-effective, and innovative programs that help them easily achieve their career goals, even after a long hiatus. When you already have a packed schedule, piling on a bunch of homework and reading when you're already tired, can be exhausting, and when you're exhausted, it's hard to retain the information you're supposed to be learning. To help students retain and keep them engaged, Strayer University came up with Strayer Studios, which is a progressive platform that combines modernized online content with award-winning film production and real-life stories. Through research, Strayer University found that the brain is hardwired to learn through stories and with this platform and binge-worthy content, students are showing increased engagement, persistence, and completion rates. Your time is valuable; shouldn't what you're learning, be interesting and fun and make you hunger for more? Did you go from being a dual income couple with no kids, to a single income with kids? If so, you know all about the financial struggles that come along with this arrangement, not to mention the prohibitive costs of higher education. To help students attain their career goals, Strayer University has created the Graduation Fund, which allows students to earn one course at no-cost for every three classes they complete. This program has the potential to reduce the total cost of a student’s bachelor's degree by 25 percent. There's nothing worse than getting your degree, only to realize that you don't have the current skills, experience, and knowledge needed for today's cutting-edge technologies. To solve this issue, Strayer University partnered with Cheddar to establish the Digital Entrepreneurship MBA. With this program, students have access to cutting-edge MBA course material that's viewable via mobile and laptop devices. This technology allows them to watch lectures online, connect with other students via Facebook, and engage with case studies and assignments on a wide variety of innovative platforms. Students learn to cultivate hard skills like data analytics while refining their leadership capabilities, entrepreneurial instincts, marketing savvy, and understanding of basic financial principles. In fact, Charlene Walters, Vice Provost and Dean of the Digital Entrepreneurship MBA program at Strayer University had this to say about the program. “Every assignment is relevant and actionable – students can apply lessons right away. Through the coursework, students build hard skills like writing, presenting, and data analytics, and they also refine leadership capabilities, entrepreneurial instincts, marketing savvy and understanding of basic financial principles. Through live lesson lectures, Facebook groups, and Facebook live events, students are able to receive advice and tips from these successful executives and thought-leaders such as Jon Steinberg of Cheddar, and Karl McDonnell of Strayer Education. It’s really an amazing experience for them! What Are Students Saying About the Digital Entrepreneurship MBA Program? Michelle Arthurton, current student, and President, and CEO of E2 Recordings Inc. had this to say about the program. “I like the fact that it is online. The weekly online discussions allow me to understand everyone in my class better because sometimes in a physical class setting you find some folks who become very intimidated by others who are well informed or more mature. So this forces them to come out of their shell and have to participate. It also helps us to analyze the readings and receive constructive criticism. It is also convenient and flexible. I do not have to leave work to go to school physically or fight traffic. I can stay-at-home, dress how I want to, and sit at the computer to do my school work anytime I wish to. I like the fact that the coursework is accessible at any time. The lectures and teachings have helped me to retain what we have learned. I also like the fact that they are experienced in this field and use real-life situations as examples. Relaunching your career shouldn't be a source of anxiety and uncertainty. This new transition in your life is exciting and should be a source of clarity and financial security for your future. 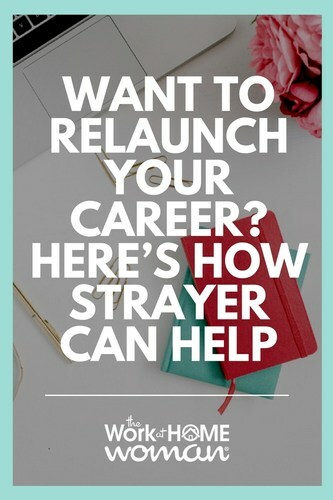 If you'd like to find out how Strayer University can help you relaunch your career, visit them at https://www.strayer.edu.